What Happens if I Get a 1099 After I File My Taxes? 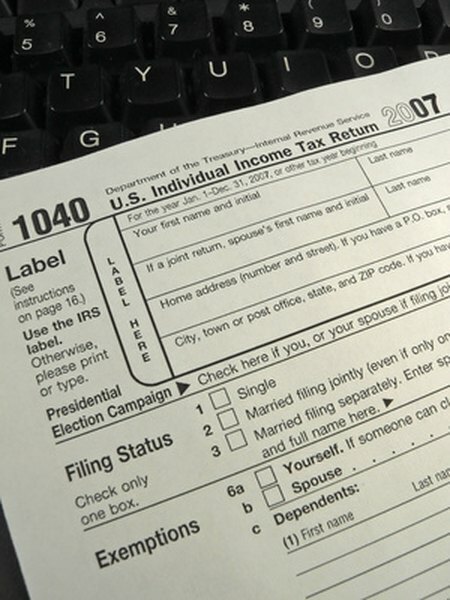 You may have to amend your 1040 if a 1099 arrives late. You may have filed your income tax return before you realized that you forgot to include a Form 1099. But there’s not actually a single Form 1099. Forms 1099 represent a series of forms called “information returns,” which all begin with the number 1099 and report income that doesn’t come from wages, salaries or tips. If you found yourself not reporting 1099 income for the tax year, it may be simply because you didn’t receive the form before the tax filing deadline. Many independent contractors receive numerous 1099s each year because of the variety of jobs they perform for customers or clients, so it’s easy to overlook the inclusion of one form. If you forgot to file a Form 1099 MISC (or any other form in the 1099 series), you do not need to file an amended tax return; in fact, you may not have to do anything. You can contact the IRS if you’re unsure. I forgot to include a 1099 on my tax return – now what? The issuer, or payer, of your 1099 is required to send a copy to the IRS as well as to you, so the IRS should have this income information for you even if you failed to receive your copy. As long as you reported the income on your taxes, you won't need to do anything else. If you didn't include the income, you'll likely owe additional taxes. The IRS will mail a request to you if this is the case. However, if you don’t receive your 1099, you can also call the IRS at 800-829-1040 if you have any questions about reporting this income. Even though you won't need to file Form 1040X (unless you didn't report the 1099 income) to amend your tax return if you receive a 1099 after you've already filed your return, you will need to file 1040X for other reasons. For example, file 1040X if your filing status changes, if your number of dependents increases or if you forgot to claim or remove deductions or credits. You can visit the IRS at IRS.gov and search for "Form 1040X instructions" to read other reasons you’ll need to amend your return. If you have any taxable income that’s reported on Forms 1099, you’ll report this income on the new IRS Form 1040 . You can file your tax return on a paper form that you mail to the IRS, or you can file your return through an online filing service, such as eFile.com, by attaching a digital Form 1099. Even if you do not receive a 1099 form, the IRS requires you to include your 1099 income. The 2017 tax year was the last year you were required to use Form 1041 (U.S. Income Tax Return for Estates and Trusts) exclusively to report certain grantor trust income. Beginning with the 2018 tax year, you can also choose to file Forms 1099 as your reporting method. To change your reporting method in 2018, you must have filed a final Form 1041 in 2017. You can visit IRS.gov and download the instructions for Form 1041 for more information. If you are due a refund from your original return, wait until you receive it before filing your amended return. Changes to your federal return to account for a late 1099 may also affect your state tax return. If you owe tax, pay it right away. If April 15 has come and gone, you will be subject to penalties and interest on the amount. The IRS considers you to have underreported income, even if you did not receive the 1099 in time. The sooner you pay the amount owed, the less interest you will have to pay. eFile.com: How do I Prepare, File a Tax Return with a Form 1099? Can I File Taxes on Self Earned Income Without a 1099? Can I File a Tax Return Using Bank Statements? When Do I See a 1099 for an IRA Withdrawal? Do I Have to Report Earnings Under $600? Will I Receive a 1099 From My Stock Broker on Dividends? When Do I Need a 1099-MISC? Do I Have to Report All My Stock Purchases & Sales if I Lost Money?